I was introduced to Pierrepont Hicks last year at NorthernGRADE. Founded by the super-couple Kat and Mac, they produce absolutely gorgeous ties for gentlemen. Based in Minneapolis, all their ties are are produced in New York, by master craftsmen, who practice traditional tie workmanship patterns and can take sixteen steps to create. Shawn currently has two of their bow ties and I must say I’ve been trying to figure out a way to wear them myself. 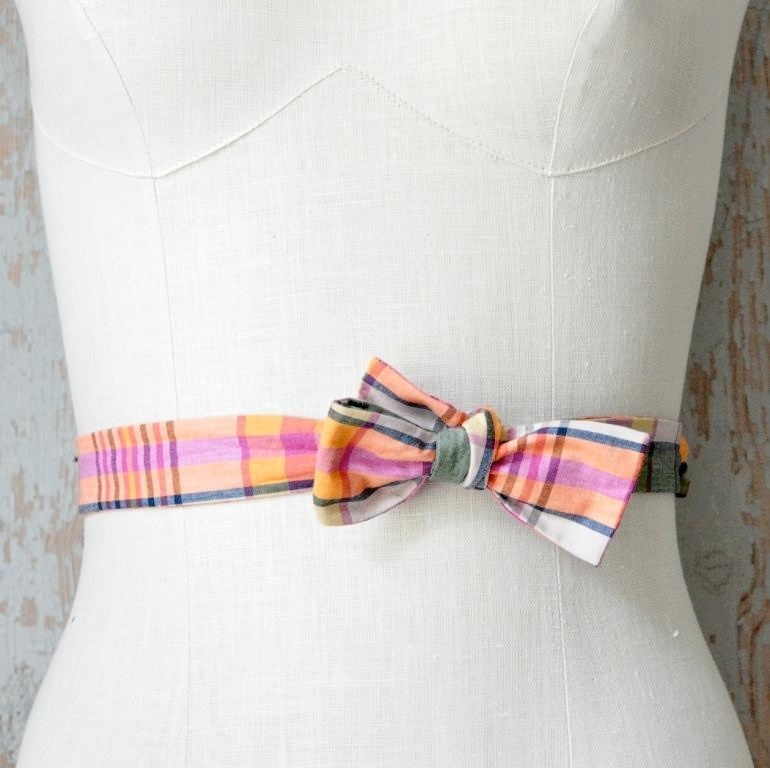 Lucky for Shawn, his bows are now safe because Pierrepont Hicks has decided to take care of the ladies by introducing their bowtie belts. Aren’t they lovely? I think that they’d be great to tie around a sundress or to accent a pair of chinos or jeans. I’m also thinking you could make a darn cute headband as well. My biggest problem right now is deciding which one to purchase first!